It&apos;s not every day that your favorite band hits the road for a tour. And, it&apos;s definitely not every day that they happen to make a stop in the town where you live. But if you&apos;re a fan of the Avett Brothers like I am, you&apos;re lucky enough to have them make an appearance twice within the last two years at Musikfest. 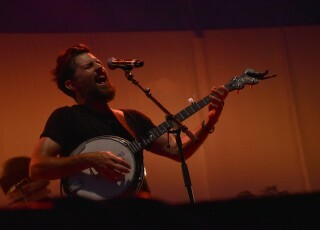 This year, the Avett Brothers returned to close out Musikfest 2016 as part of a tour supporting their new album True Sadness. With support from Langhorne Slim, a native of Langhorne, PA, the night promised to be full of music that would hit every emotion, from tugging at your heart strings to stomping and clapping as you dance in the aisles. After a brief delay due to the threat of storms in the area, Langhorne Slim took the stage to gear the crowd up for the night ahead. He was joined by Scott & Seth Avett for a casual, acoustic rendition of "You Are My Sunshine," presenting quite the surprise for those of us who arrived early. For the remainder of his set, he encouraged audience members to abandon their seats and come up towards the front to make for a more intimate opening set. 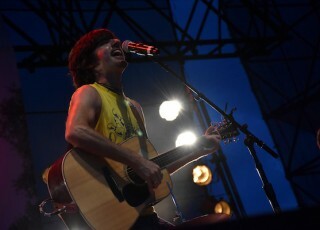 After a brief rain shower, it was finally time for the Avett Brothers to take the stage. As lightning flickered in the distance, the band kicked off their set with a kazoo-filled rendition of "The D Bag Rag." The set showed no signs of slowing down as they immediately moved into two crowd-pleasers, "Talk on Indolence," and "Go to Sleep." From there, they highlighted new tracks from True Sadness including "Ain&apos;t No Man" and a country twanged version of "True Sadness." An upbeat version of Bob Dylan&apos;s "Tangled Up in Blue" got the crowd up and dancing (for the few people that remained sitting). But perhaps the most intimate moment of the show was during Seth Avett&apos;s "Ballad of Love and Hate," a soft spoken tune that tops my list of favorite Avett songs. Scott then joined his brother for "Fisher Road to Hollywood," filled with beautiful harmonies that floated through the air. While every Avett Brothers show promises outstanding music, it also brings along some of the best fans you can find. And that was evident in this Musikfest crowd. People clapping along and singing with the little quips that the band always uses during live performances, making sure to get the venue exclusive poster, and hanging onto every note to see what song will fall next in the set. The night closed with an encore performance of one of the band&apos;s biggest hits, "I And Love And You," the song finishing with the audience echoing back the lyrics and in a capella moment that even after eight shows, always leaves me with chills. 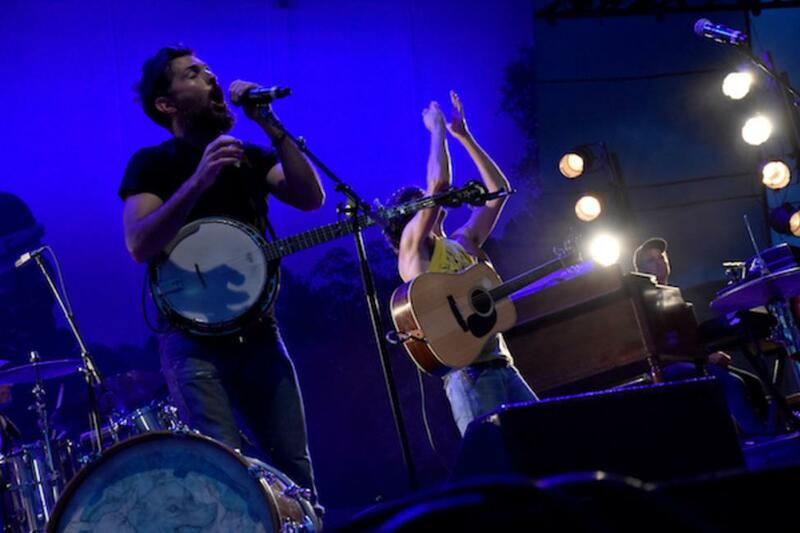 Can the Avett Brothers play Musifkest every year? I&apos;d be in full support forever and always. Musikfest will return August 4 - 13, 2017. &apos;Til next year!